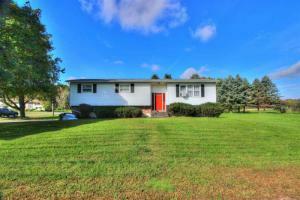 Spectacular country style ranch with many updates sitting on meticulously maintained lot. Home has open concept with vaulted ceiling and inviting wood fireplace in the living room with stone finishing. 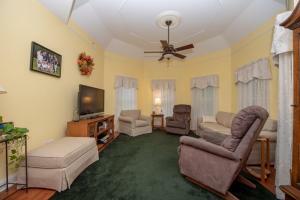 With access from living room you can walk out to your 4 season sun room and 3 season enclosed porch. Kitchen features large island with marble counter tops and extra wall oven. Beautiful wood finishing throughout. 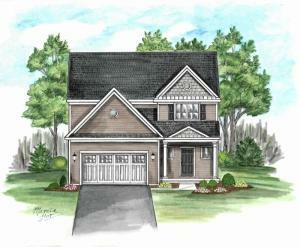 Including family room, dining area, and first floor master bedroom with walk-in closet. Master bathroom boast tile finish, jet tub, and tanning booth. Large front yard and paved driveway with 3 car garage. Also enjoy the option of exterior living with heated garage/Party room with water, bathroom, and open bar. Back patio and pool for relaxing. Home is a must see! Looking for old world charm? This brick cape cod home has it with its wood beams, built ins, slate stone walkway, and screened in porch. Roof, furnace, A/C, hot water heater garage door openers, gutters, driveway, porch steps, half bath, & paint have all been updated recently! Enjoy the kitchen nook for morning coffee, home work or an evening wine. The dining room is perfect for dinner for 6 or expand into the great room for more! Hardwoods are in great condition. Master suite has a large walk-in closet and master bath with double bowl vanity. 3 Bedrooms on 2nd floor and a bedroom or a great recreation room in the basement--whichever you prefer. Love the outdoors? 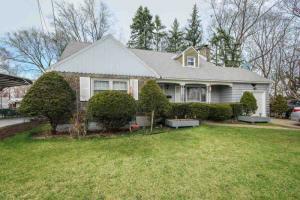 Enjoy the screen porch off the mudroom or walk out into the basement into the flat spacious yard. 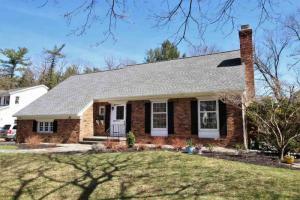 Comfortable custom Colonial home on neighborhood cul-de-sac impeccably cared for with updates throughout. 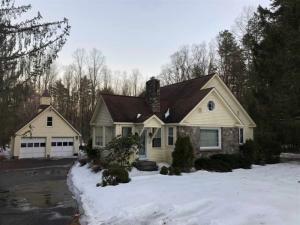 Light & bright, the 1st floor boasts welcoming entry foyer, big living room, formal dining room, cozy family room with fireplace & french doors, cherry kitchen with SS appliances, pantry & center island. Bonus laundry/mudroom with 1/2 bath off attached garage. Upstairs, a relaxing master bedroom with remodeled modern ensuite bath. Down the wide 2nd floor hallway, a modern remodeled full bathroom, 4 additional bedrooms and a storage room. The landscaped exterior boasts flat yard, front sitting porch, rear deck & patio and large garden box. 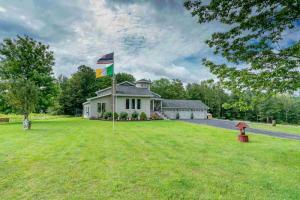 Located in Schodack School District with easy access to local amenities, attractions and major travel routes. Albany commute within 20 minutes. 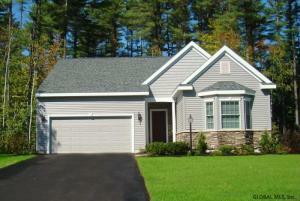 One floor maintenance-free living awaits in this like-new, model unit, condo in Voorheesville. 2 bedrooms, 1.5 bathrooms, open concept kitchen-dining- family room are only the beginning. 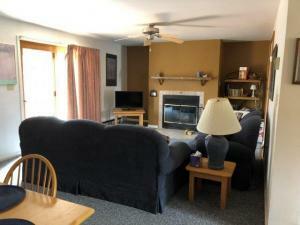 Unit includes vauted living room ceiling, granite countertops in the kitchen and hardwood floors in the main living area. Minimum age 62. 2 elevators in building. Great home with Hudson River Views. This home has a ton to offer. Many updates throughout the home but still has room for your design improvement as well. 4 Bedrooms and 2 Full baths including 2nd floor Master suite. Hardwood floors. Stainless steel appliances. Roof less than 10 yrs. This is an assignment of contract. Sold "AS IS"
Lovely Cape Cod only 8 years old. Nice front porch & a two story foyer make for a very inviting entryway. Huge Kitchen with open dining area. Walk out to a custom deck with pergola into a nice big backyard. First floor master suite. First & second floor laundry hookups. 4 zone heat, wood burning stove in walk out basement. Finished basement with bathroom & bonus room,which could be a bedroom or office. Lg 2 car garage. 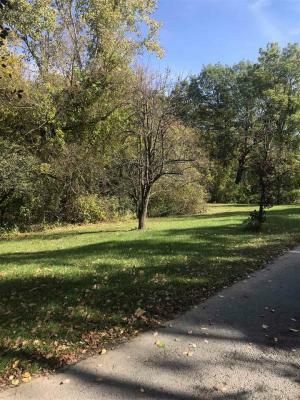 Private lot with stream in back. Only 25 minutes to Albany and less than 5 minutes to Schaghticoke fair grounds. A very peaceful area to live. A great find with many possibilities and lots of room. West Shore Association in Boon Bay offers the owner docking for a 23 foot boat and sandy beach rights with lakeside sitting and picnic area. This lovely 3 bedroom (1 on first floor), 2 bath contemporary home is in move-in condition and offers views of Lake George, features a a 4-season enclosed porch, breakfast bar in the kitchen with large dining area and a walk-in pantry, living area with wood stove, cathedral ceiling and skylights, loft over looking living area and hardwood floors. This beautiful spacious 2 bedroom 1 bath unit located in Saratoga is centrally located in a quiet neighborhood in walking distance to everything, and considered party of the Arts District. Beautiful modern apartment with traditional styling and features. Off street parking available. Additional office/studio space available above garage if interested. This is a must see! Apply at www.empirerealestatemgt.com/apartments. 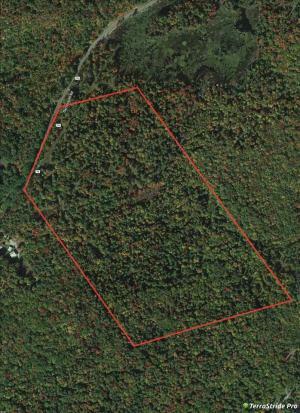 8.59 acre Town of Johnstown building lot bordered by 858 acres of state land. New 18x48 concrete steel reinforced pad, artesian well, 13' wide gravel roadway with fabric. Site plan approved by the Town of Johnstown. Perc test completed. 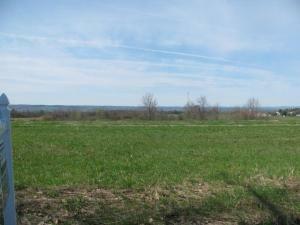 Some timber value also exists on this beautiful secluded property. 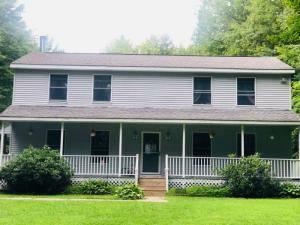 Country living ranch home with new windows installed on 11/2018 A new roof on 6/2018 & the well drilled deeper for 5 GPM done on 8/2018 Newer appliances Natural light w/open floor plan. Huge dining room great for entertaining. Sun room & deck to enjoy the warmth all year and the view! Bonus Rooms in the partially finished basement. 5 Garage spaces: 2 car attached garage with attached carport and another 2 car garage detached w/ upstairs. Spacious and Bright Custom Home in a private and quiet cul-de-sac. 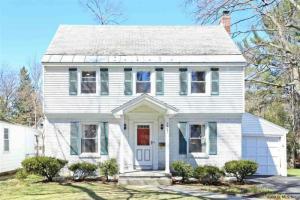 Newly renovated and immaculately maintained young colonial. Open Foyer welcomes you into 1st floor featuring Study, Living room, Dining room with tray ceiling and crown molding & Family room with gas fireplace. Newly Updated Kitchen with granite countertops, stainless steel appliances, backsplash and maple cabinets. Gleaming hardwood floors thru-out. Great master suite with abundant natural light and granite countertop, huge walk-in closet and tiled tub. Quartz countertop in main bath. Newly landscaped backyard with patio, sprinklers and new lawn. Highly desirable neighborhood in the center of Clifton Park and close to parks, shops, schools and library. A must see! 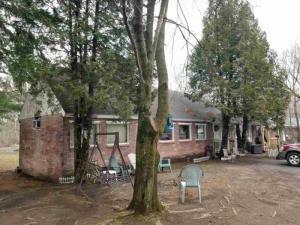 Great invest.property in the heart of Village of Scotia. 2 first floor units are studio/1 bedrm. 2nd floor unit is 2 bedroom. Rent on all units could be higher. Owner currently furnishes utilities. 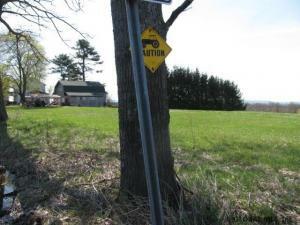 Prime location on busline, close to all shopping and village conveniences, Scotia-Glenville schools. Garage sold "as is". 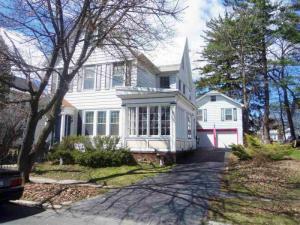 Beautiful 4-bedroom, 1.5 bath Cape located in the Scotia-Glenville School District. This lovely home has just been renovated and features a new kitchen, new bathrooms, beautiful hardwood floors and fresh paint throughout. Also features central air, a full basement and a nice sized yard. Tenant is responsible for all utilities as well as lawn care/snow removal. No Pets. No smoking. Credit check and references required. 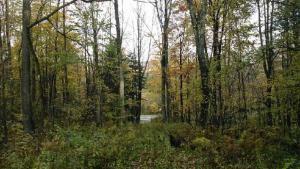 0.63 acre wooded lot zoned for residential use. Just up the road from Wolfert's Roost Country Club. Well maintained 3 bedroom Cape on a nicely landscaped corner lot with masonry brick front porch. This home features newer central air, hardwood floors, newer windows, newer garage service doors, newer tankless hot water heater, fenced yard, walk-up attic, one car attached garage, large carport with slate patio flooring that converts to a covered patio. Taxes do not include Basic Star Exemption which was $528 in 2018. 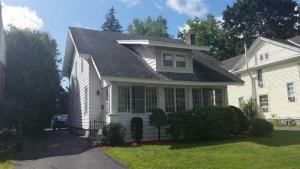 Charming Old Niskayuna colonial just listed! 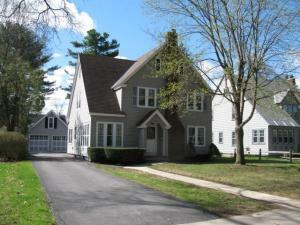 Fall in love with the classic lines of a 1930's center hall colonial in one of Niskayuna's most walkable locations. Spacious eat-in kitchen for the beloved cooks in your life with easy access to first floor laundry! Timeless black and white full bath upstairs. All bedrooms are ample size for rest and relaxation. Two year old furnace with humidifier (ready for central air, if you prefer) and one year old hot water heater. Perfectly sized and sustainable backyard for kids, grandkids and furry kids alike! A beautiful mature tree lined street with an easy walk to the Niskayuna Co-op, Starbucks, library, high school and more! Zoned Hillside elementary/Van Antwerp middle school, call the registrar office for details. Taxes listed with no exemptions. Great family home on cul-de-sac street, quiet setting, very large over-sized corner lot. 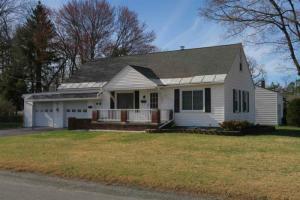 Raised Ranch style home with 2-car garage, family/rec room on lower level, as well as bedroom and half bathroom. Upper level is not your typical raised ranch, very open, big country kitchen, 4 seasons bonus room, laundry room and access to back yard. 3 bedrooms including master suite with full bath, and full guest bath off hallway. Home has great potential, with some simple cosmetic upgrades recommended. Sellers are motivated and open minded to offers. Easy to show. Looking for Privacy? 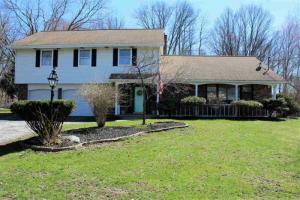 Check out this Spacious colonial home nestled in on a 2.26 acre lot in award winning Greenfield Elementary schools! This home offers all the space for entertaining or a growing family w/ 5 spacious bedrooms, 3 baths, full basement, Large yard. The kitchen Opens up to a great dinning space w/ a sliding glass door that heads out to a back deck making entertaining a breeze! Lets talk about the massive 4 car garage w/ a lift which would be any hobbyists dream! Call today for a private showing! 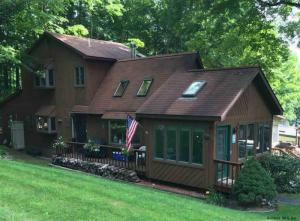 Charming Cape cod style home just off exit 17S on I 87. 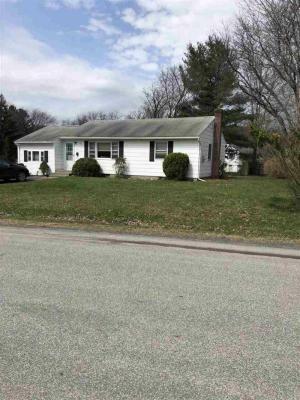 This well maintained 3 bedroom, 2 bathroom home is in great condition. 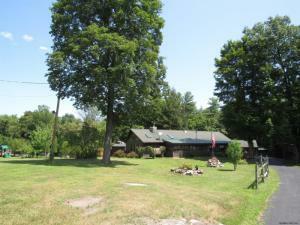 The property includes a large over-sized garage and is located on 2.12 acres. In addition to being a lovely home, this property has CC1 zoning which allows for many commercial uses and could be redeveloped as per zoning. A great investment opportunity as the property has versatility! H387616.... What a fixer upper! Needs work but has so much character! Bring it back to it's former glory! ...as a two family for income, or can be converted easily to a one family. 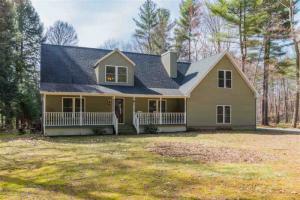 1st floor has gorgeous wood moldings, hardwood flrs, a sunroom off the living room, and a family room/den addition. 2nd floor has two bedrooms, plus a den (no photos 2nd floor). Long term tenant, rent could be higher. Large attic for storage. Best yet, there is a one bdrm accessory dwelling above garage that could bring in additional income! Has a separate entrance and an enclosed porch. Back and side yards on a double lot, covered patio area, and a heated 2 car garage! Being sold as-is. 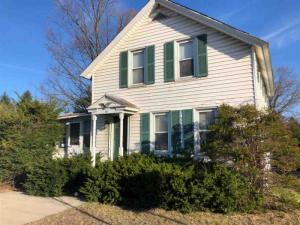 Get yourself a 203 loan and make this house your home! UNDER CONSTRUCTION NOW! This new design with it's open floor plan is impressive. Natural light floods this home w/plenty of windows, a spectacular open kitchen/great room and well defined rooms makes this an ideal choice for those desiring a carefree lifestyle that both lives and entertains well. Last chance to live in this one of a kind neighborhood! Best of all... No wait to build! Photos are from similar models and may contain options that are not included in this home. 51-P This 2 Bedroom, 2 Baths w/ Jacuzzi has easy access to parking. It has a back yard for privacy and has great potential for rental income. First floor living at its finest! 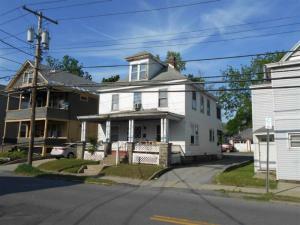 Check out this renovated 3 bed 2 bath home in award winning Greenfield elementary Schools. 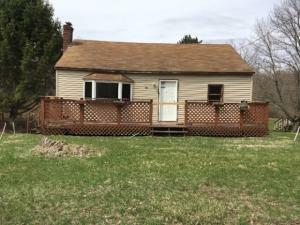 This home has so much to offer, Large kitchen with amble storage space, Pellet stove for additional heat source, Full walk out basement, Carport w/ concrete slab, Shed, In ground pool and so much more. Home was completely renovated in 2010, Call today for a private showing, Won't last long! 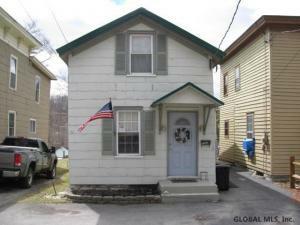 2 bed, 1 bath home located in Nassau, NY. This home is in need of extensive updates and repairs. **CAUTION PLEASE ENTER AT YOUR OWN RISK**Property is sold in “as is” condition and “where is”. 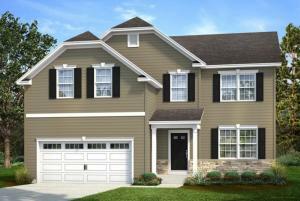 Linden Woods is a maintenance free upscale single family new home neighborhood! Choose from our most popular Ranch 1st floor master & 2 story designs. 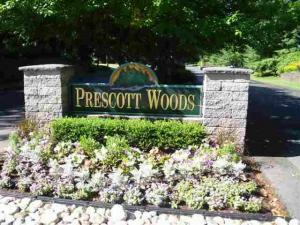 Features incl: HW floors in all main living areas, 9' ceilings, tiled baths, tiled tubs & showers, upgraded cabinets, Architectural exteriors, full landscape plans w/sprinklers, superior energy efficiency, central air & more! Photos are from similar models & may contain options not standard. 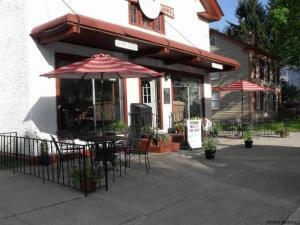 Excellent opportunity just of Exit 18 on Main St. The property is currently being rented out as an apartment. 1,058 SF 2 story structure with detached 2 car garage. High traffic location. Great growth area. 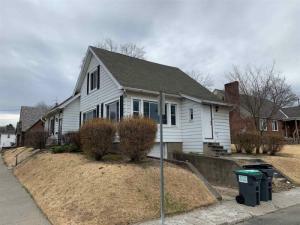 The sale includes 78 Main St. (tax number 309.10-1-24) With proximity to I 87 and 0.76 acres over 2 parcel's, this is a great development piece. 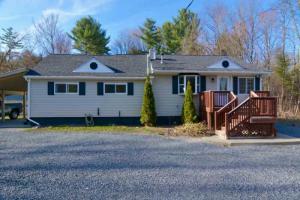 Beautifully maintained home in an extremely convenient location! Super clean and tons of space with 2 beds up and down and each floor with a full bath! Second kitchen area upstairs as well to leave in place for in-law set up or remove for extra space. Great fenced yard, new kitchen, hardwood floors, central air and full basement are some of the included features!! 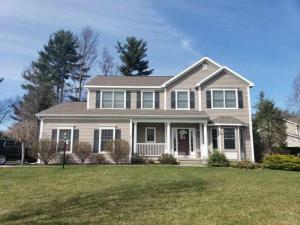 Finely appointed, modified custom Marini built Sagamore Colonial on one of Finest streets in Guilderland schools. 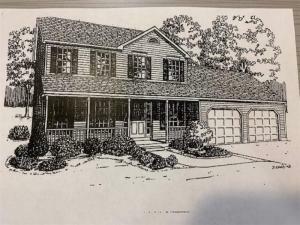 Home has many recent updates and improvements throughout that include a recently remodeled granite kitchen with radiant heat and updated bathrooms. First floor bedroom with full bathroom. Oversized 2.5 car garage and well as additional detached garage provides plenty of room for your vehicles, equipment and toys. Quiet low traffic cul de sac street close to Pine Haven Country club. Paver patio overlooks huge 1.5 acre treed and landscaped lot. Absolutely must be seen to be appreciated. 3D tour attached! 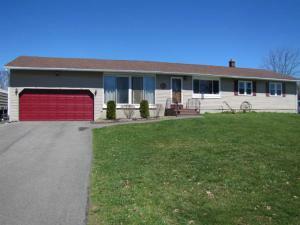 Move in ready charming ranch in the village of Cobleskill, close to everything. Outside and inside freshly painted. Eat in kitchen, nice size bedrooms and partially fenced back yard. Book your showing today. 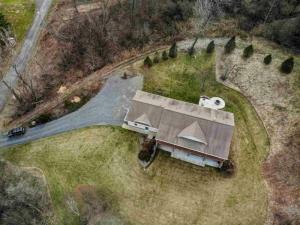 Where to begin describing this custom ranch home nestled on a 2+ acre gently rolling & landscaped lot? Start by stepping into the open floor plan that rocks Anderson windows galore and vaulted ceilings pitched to create a grand interior. The kitchen w/ chef-grade range, stainless appliances, stone counters centered around an inviting eating island. Separate dining area; sliding glass doors to rear yard. Gas fireplace cozies up large living area. Master suite w/ jetted tub. All bedrooms generously sized and 1st-floor laundry. Head downstairs (poss in-law area) to the walk-out, finished basement! This sun-lit lower level doubles the living space of this home w/ room for TV viewing, home gym and bath (kitchen ready). 3-bay garage, huge stamped patio with hard-scaped fire pit. Great home! 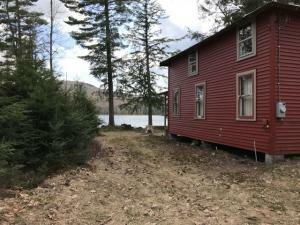 This great rental is Available Immediately! Move right into this bright and airy 2-story in a great neighborhood. Freshly painted with new carpeting, updated eat-in kitchen. 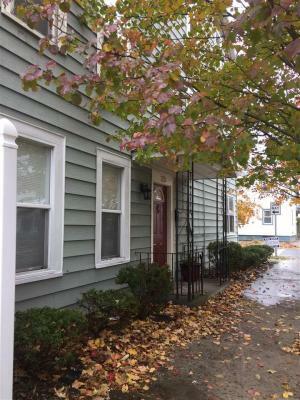 Spacious 2br with full basement and garage! Nice deck with fenced backyard and side yard. Super convenient to Northway x10, General Electric, Knolls (KAPL) or Luther Forest Tech Park/Global Foundries. Unit is currently partially furnished, landlord will remove furniture if requested. NO PETS. Incredible value! This quality built custom home is truly an entertainer’s dream, offering an abundance of luxurious amenities! Impressive stone facade & hard wood garage doors. Beautiful kitchen w/ granite island opens to family room w/ outstanding natural sunlight. Amazing theater room. 2 master BR suites. 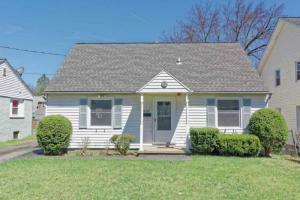 All 4 BR are with attached bath. Low maintenance private lot backs to forever wild. Inviting patio, outdoor grill, hot tub & heated infinity pool. Built in surround sound system. Must see!